Join us for this engaging webinar series to unpack specific practices, tools, and resources designed to help you address the improvement needs in your state, district, and school. Each webinar aligns to a specific domain. This webinar will describe a case of leadership and support at the state level for instructional transformation based in an evidence-based program for building middle and high school students’ academic engagement and achievement. Presenters will include Maryland State Department of Education leaders, whom through the use of the Four Domains for Rapid School Improvement, are supporting all schools with their school improvement priorities and professional learning, a school principal of a Title I school, and one of the developers of an evidence-based professional learning and instructional transformation approach called Reading Apprenticeship. There are significant benefits to students and families when improvements in schools succeed. Charter schools are no different. In this webinar, state policymakers, charter school authorizers, and charter school boards learn about how to assess whether a low-performing charter school is a good candidate for rapid improvement rather than closure. WestEd’s Robin Chait, Aimee Evan, and Bob Rosenfeld will draw on research and practice to illustrate how the Four Domains for Rapid School Improvement framework was used to rapidly improve a chronically low-performing charter school. 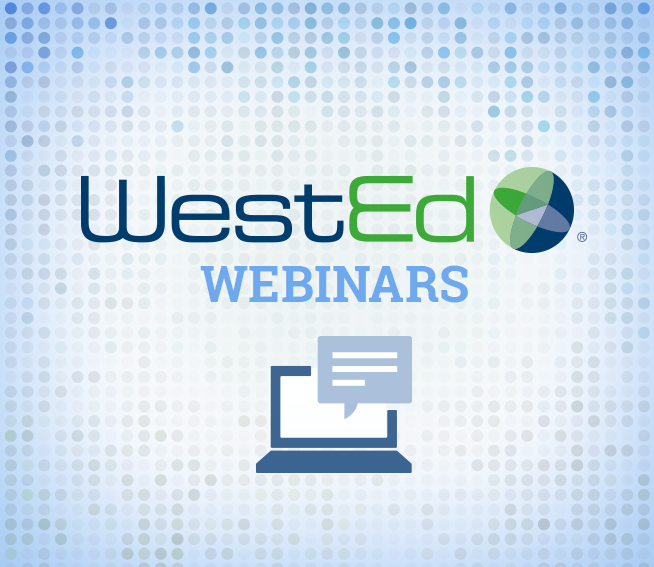 View these recent webinars related to the Four Domains for Rapid School Improvement.